Here is the schedule for 2010 newspaper coupon inserts. Please note that Procter and Gamble does not like to follow the plan sometimes, so on no insert weekends there might be PandG inserts. I’ll let you know if that is going happen. There will also be weeks that have a few extra inserts when General Mills and Unilever release coupons. 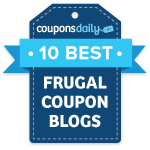 You can always see the full list of what coupons are coming out each weekend on the Wednesday before on Frugal Finders.